What Does a Photograph Archivist Do? I recently took a position as photograph archivist at the Smithsonian Institution Archives and hope to be able to share through this blog some of the processes we are undertaking to make our photographic collections more useful and available. The logical place to start this endeavor into transparency is to explain what it is a photograph archivist does. There is a very technical way of describing what I do, full of archival buzzwords and information management jargon. There is also a very simple way to explain what a photograph archivist does, one that I hope won’t make your eyes glaze over. In the simplest terms, I would argue that if you’ve ever had even just one photograph or digital image in your possession, then you know exactly what a photograph archivist does, because on some level, we are all photograph archivists. The only difference between you and me is that I have to adhere to a stricter set of guidelines and standards in regards to the physical care, preservation, and description of the items in my charge. Right, so how is what we do similar? Do you have prints of pictures? We call these born analog objects. Where are they? Are they in an album? A scrapbook? A shoebox? Your wallet? On your refrigerator? This is called physical control. Are they organized in any specific way that’s meaningful to you? Chronologically? By event? This is called arrangement. Do you have digital images? We call these born digital objects. Do you add captions to them or “tag” them with information? Do you write on the back of your prints? This is called description. 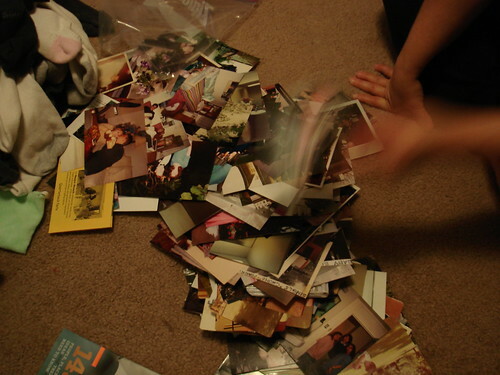 Have you ever received pictures from family or friends, whether from your grandmother’s attic or as an email attachment? This is called an accession. Do you integrate them into the rest of your pictures? Do you keep them separate? Have you ever gotten rid of a picture or deleted an image from your hard drive? That’s deaccessioning. Are you digitizing your born analog prints? How do you decide what to scan? At what resolution do you scan them? What file-naming convention do you use? Are your digital images backed up? If you were to give away all of your pictures right now, is there enough context to discern the who, what, where, when, and why of your life in images? That’s my job: to ask these questions, to establish control over a body of images, and to document their context so that they are accessible. The images that make up the collection in my particular care are memories of artifacts, exhibits, events, and people that tell the story of this institution. To me, memories are like undeveloped film. They become useless when they are not articulated or developed in a way that makes them meaningful to an audience. Memories are also prone to distortion over time, so it’s paramount to record them so that the stories they tell become a resource for future generations. Over the years, photographs have provided rich documentation of the Smithsonian Institution. It is my job to see to the preservation of the physical images as well to capture and preserve the meaning behind them so they remain relevant over time. 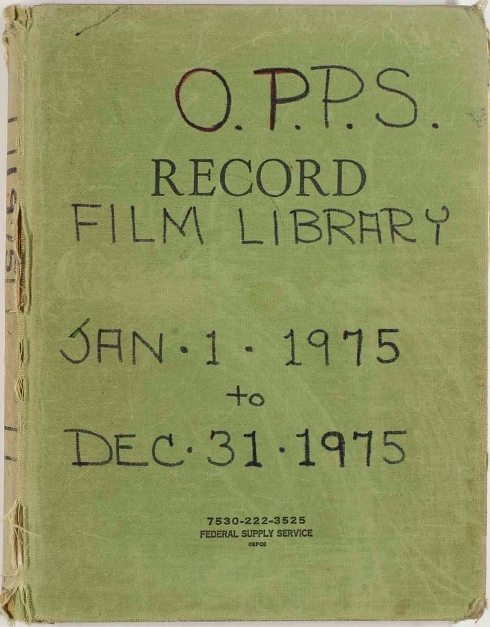 Aiding me in this task are a set of twenty seven logbooks with some 500,000 entries, maintained over the last forty years by Smithsonian photographers who shot the pictures in this collection for curators across the museum. The entries are brief, but provide valuable context as to what exactly some of these three million images are. The idea is to make the information in these logbooks accessible and usable in a way that doesn’t involve reading handwritten ledger books that date back to the early 1970s. Excerpted above is a partial entry from one of the logbooks and its corresponding image. This image of a Bible quilt illustrates how a non-photographic medium was once used to tell a story. 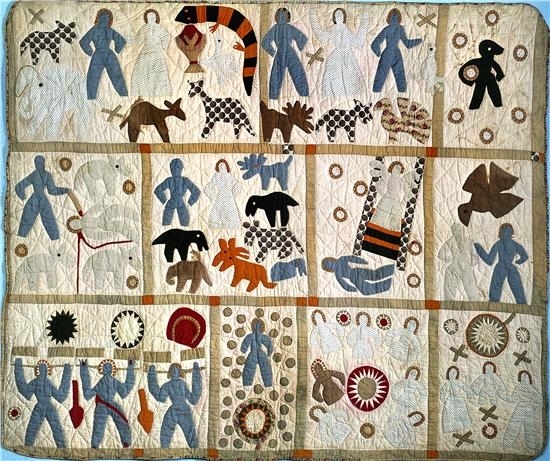 Understanding the squares on this quilt necessitates a familiarity with Bible stories, which provide the context needed to translate the images stitched into this artifact. Without that knowledge, the images on the quilt lose meaning. This “loss of meaning” is a situation I would like to prevent (times three million).